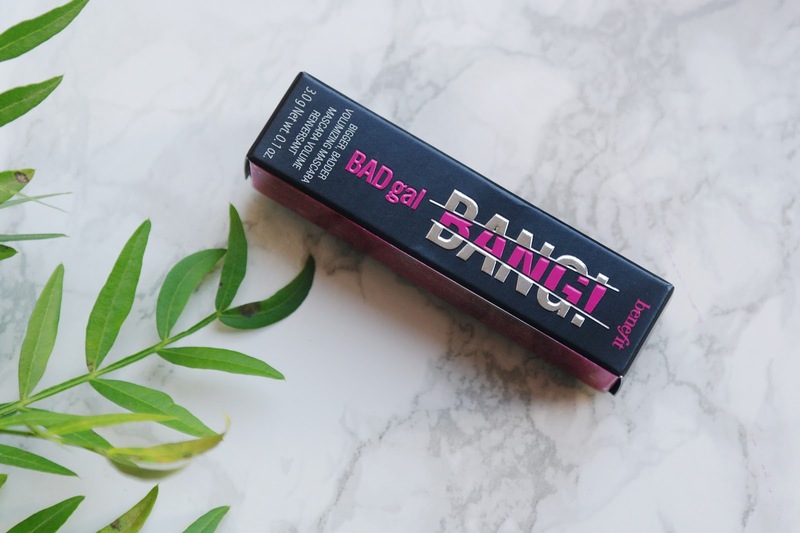 BADgal BANG! 36-HOUR FULL-BLAST volumising mascara creates MASSIVE volume without weighing down lashes. The gravity-defying formula contains aero-particles, one of the lightest known materials, derived from space technology. This innovative intense pitch-black mascara layers easily for bigger & BIGGER impact. It's custom big Slimpact! brush is streamlined to reach root-to-tip, corner-to-corner, upper & lower lashes for BIG VOLUME WITH 360° REACH! Yes please. You could say that over the years I have tried so many different mascaras and I know what I like. I always look for a great formula, a plastic brush and a mascara that gives me luscious eyelashes without clumps or panda eyes! This is Benefit's biggest launch for the last couple of years and well? It's been worth the wait. Let's face it, Benefit are known for the game changing mascaras, but does their brand new mascara live up to the hype? Yes! This was the product that I was most looking forward to trying, because let's face it, as a mum I am prone to awful dark circles. The patches come in a solution and are extremely soothing and cooling upon application. After about 15 minutes the eye patches can away easily and the area felt de-puffed and had a glow, brighter and tighter. It contains glycerin, witch hazel extract, bamboo charcoal, Irish moss powder (0.1%), konjac fibre, algin and citric acid. They are really simple to use too, which is a bonus. 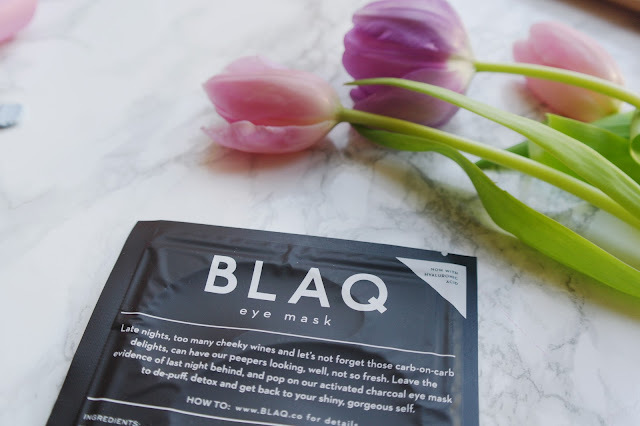 Cleanse your skin and the eye area, remove the film and apply them about 1 cm below each eye for about 10-15 minutes, before carefully peeling off the skin. If you want those bright eyes on a more frequent basis then you need to use these masks twice a week, or until you have caught up on that sleep. So it looks like I'll be making a purchase then, as I won't be sleeping anytime soon. Night terrors! When we want to achieve a glowing finish to our make-up, we often reach for a dewy foundation to do the trick. But what if instead it was as simple as the skincare we used beforehand to guarantee a hydrated and beautifully glowing base? Introducing the Valo Glow Boost Essence from Lumene- a foolproof solution for reviving fatigued and dull looking skin and instead swapping it out for a glow. I love this oil! I've been using it to prep my skin before make up or if my skin needs an extra moisture boost. 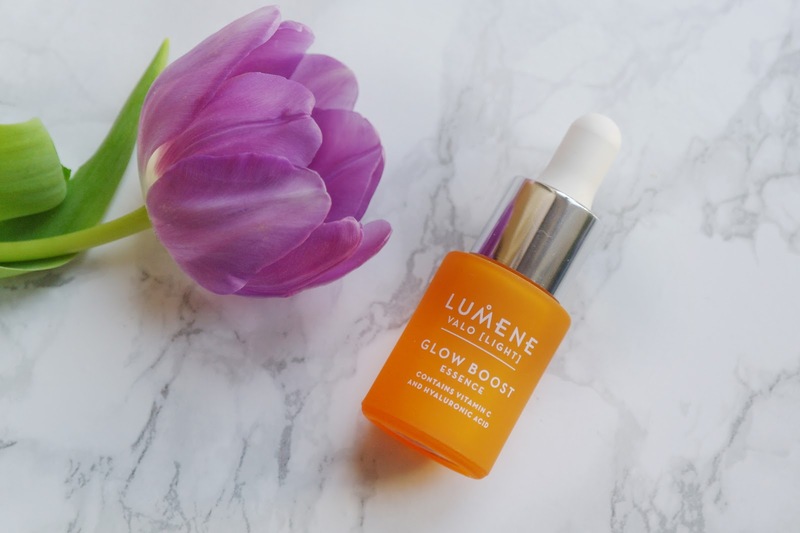 It leaves your skin feeling so smooth and looking really lovely and dewy! The only bad thing I can say about this product is the price, although I am very tempted to splurge on it when I finish my sample! A brand that I have never heard of, so I was excited to try this out. That's why I love Birchbox so much as it give me so many opportunities to try new products out without paying full price. 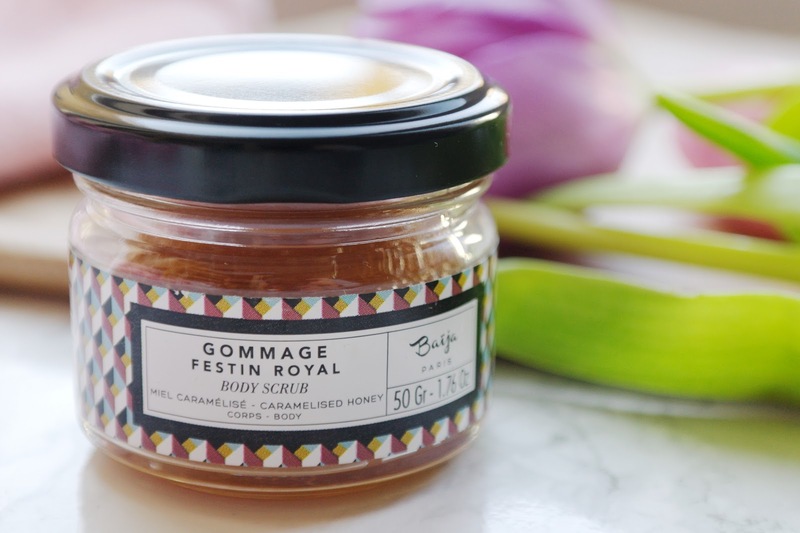 So this body scrub is packed full of honey and soothing shea, which has been amazing for my dry patches that seems to have accumulated on my back and legs this year. You simply massage into damp skin and rinse away with warm water and it had left skin feeling moisturised, smooth and supple. 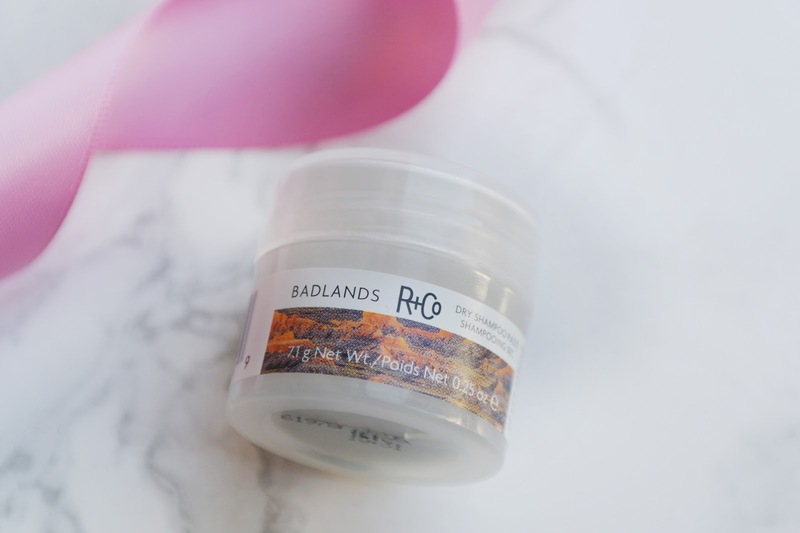 Sometimes with my sensitive skin I find that some scrubs are far too harsh for my skin, but this one was very gentle for an exfoliator and didn't irritate my skin whatsoever. I would most definitely purchase a full sized version of this scrub. I have to say that dry shampoo is by far one of the best products out there on the market. I don't know anyone who hasn't used Bastiste one time or another. However, R + Co have introduced me to a new formulation with this paste. It’s actually half dry-shampoo powder, half style paste, so you use it with your fingers, much in the same way as you’d use a wax or a pomade. The texture is matte, because it’s soaking up oil with volcanic ash sourced from Hawaii. However, I was hugely disappointed! I like this product, but I didn’t find it functioned as a dry shampoo. While it wasn’t great for hiding grease, it did add amazing volume & texture to my hair and gave it a brilliant bedhead look. 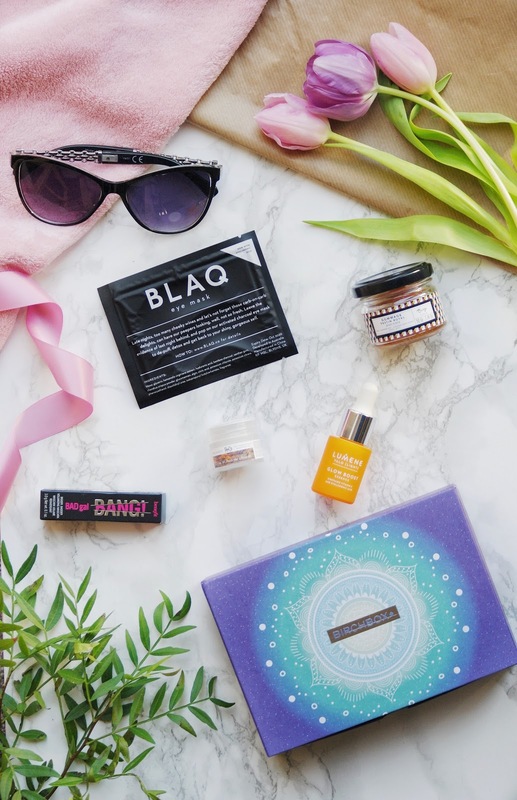 8 comments on "BIRCHBOX - March 2018: Be Present, Not Perfect"
Wow the box looks lovely! I love how many different dry shampoos there are out there! So many great things in this box! And I am glad to know the mascara lives up to the hype! The body scrub sounds amazing!I love a good pamper, especially after a long day!